Building a new addition to an existing home can be a challenge. If you’ve never undertaken a project like this before, it’s helpful to learn from the success of others. 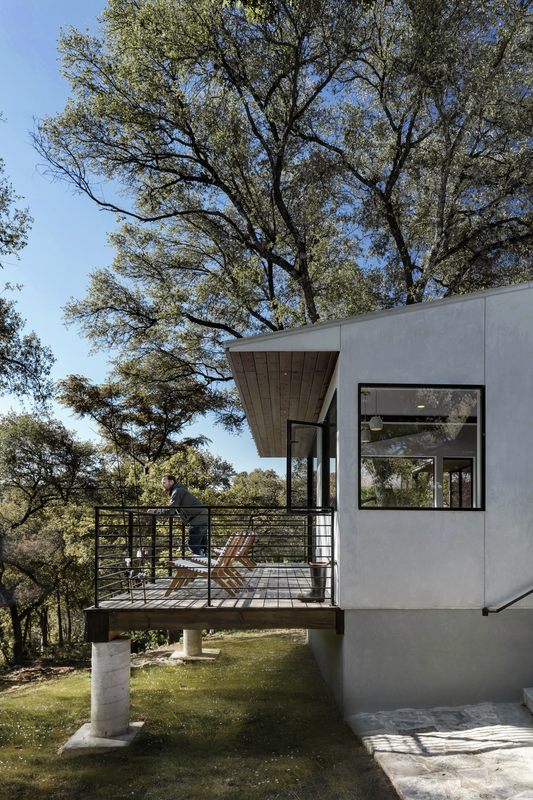 Milgard talked to Matt Fajkus Architecture about the Creekbluff Studio project where the homeowners wanted to add a home office/studio addition to their mid-century modern home. 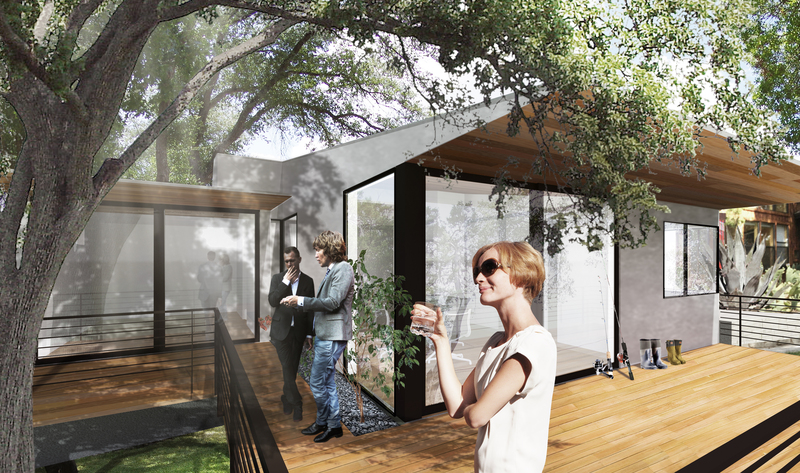 We interviewed David Birt, Principle Architect at Matt Fajkus Architecture, who led the project. These are the three steps he recommends when considering adding a new addition. What are you hoping to accomplish with the addition? For example: Are you adding a guest bedroom? Do you need more living space? Or are you trying to increase the resale value for a buyer? What is the target budget you have planned and want to stick to? Where do you want the addition? Will it be coming off the existing home as a 2nd floor, part of the main floor or remain separate from the home? It’s important to note that in most additions you also need to decide on whether you want to remodel the existing part of your house to create a seamless look or if you prefer to just add on without significantly modifying your home. 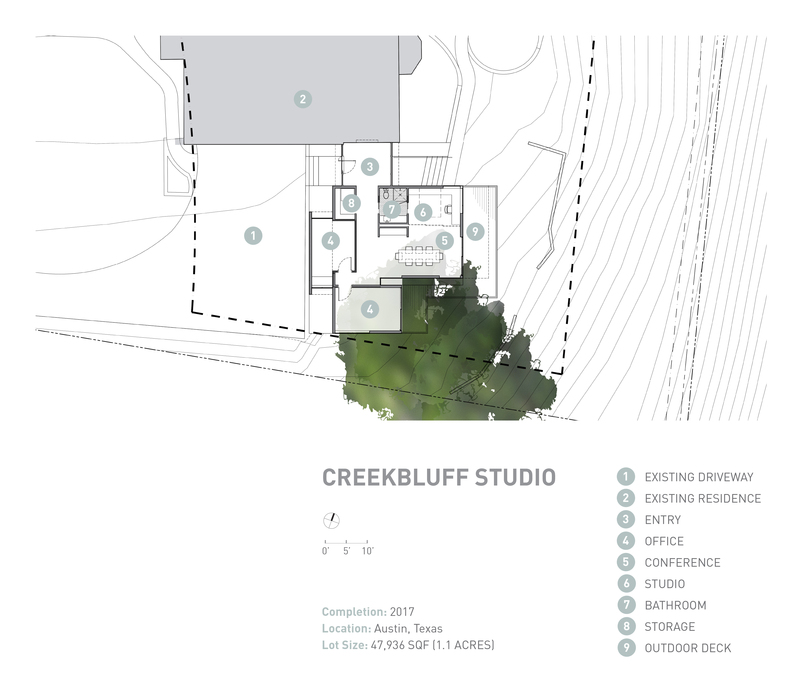 In the Creekbluff Studio project, the homeowners wanted to add an office/studio to their home. 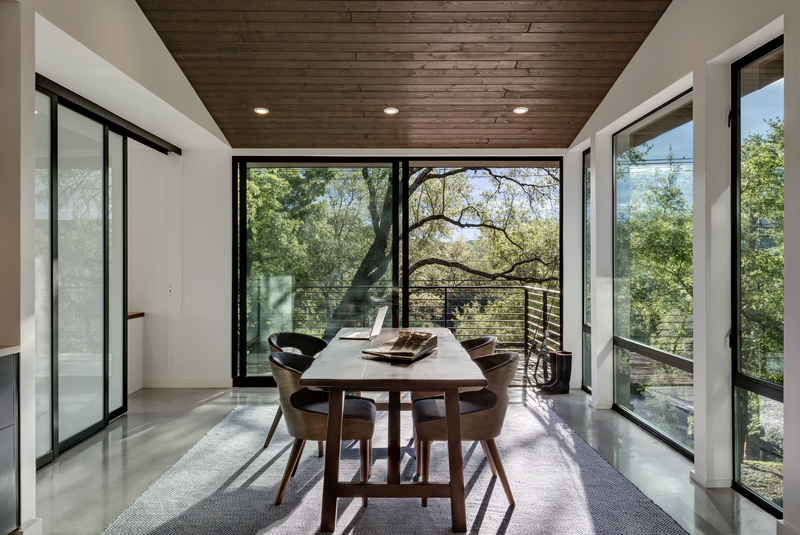 As a flexible space for both working and entertaining, the addition needed to fit three to five employees while accommodating gatherings and parties. They also wanted to position the home office in a location that would also provide privacy from the rest of the home. The homeowners had a stunning backyard with a flowing creek that flowed into a beautiful waterfall and pool. 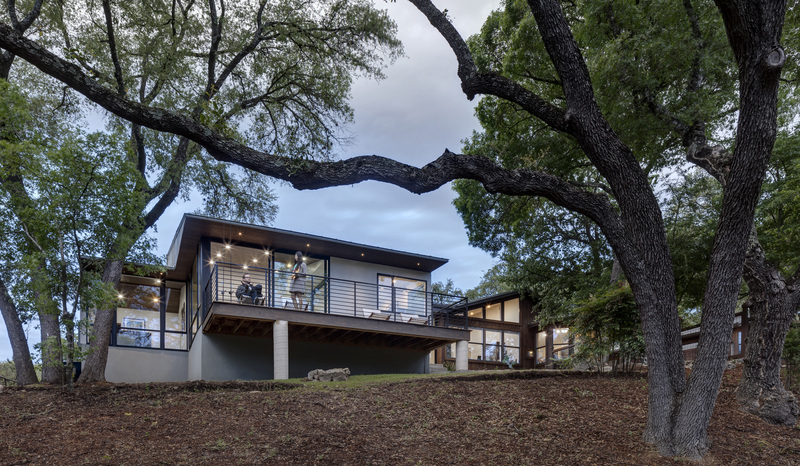 They wanted to capture this view and look down at the natural feature from both the backyard deck and the main interior spaces, so they decided to not modify the existing home. The next step is to consider bringing in a professional. Having a professional, whether it be an architect, contractor or builder, can help you get a better idea of what it will really take to make your dream a reality. They can help you sift through your needs and wants, put forward ideas you might not have thought of and help you troubleshoot ideas that might not work. They have the experience and knowledge it takes to get started and deliver a project while keeping in mind any building restrictions and regulations that might be in place. 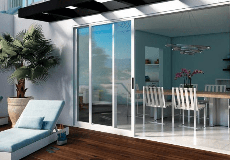 Because of their expertise, they are also a great source of information on how windows and patio doors can effectively take advantage of natural light, enhance views, improve design and increase energy efficiency. Thanks to technology they can also help you visualize the project through renderings completed in 3D model platforms, rather than trying to depict the result on flat blueprints. Once you have discussed the project goals with a professional, they will ask to review the specific property to get a better idea of what is possible. They will look at the contours and terrain of the land, the sun’s placement and the existing architectural elements of the home. If you want the addition to blend in with the existing house, the professional will need to determine what elements of the existing home may be affected, such as the plumbing and electricity. Next, they will see what limitations or restrictions need to be followed. After reviewing all this information, they will provide the project expectations and a timeline for completion. 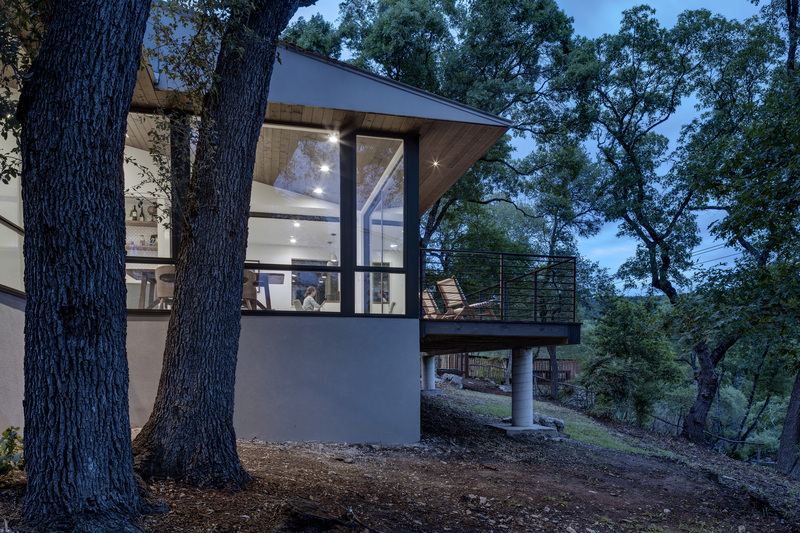 On the Creekbluff Studio project, Birt delivered a stunning, modern office that not only complemented the existing house but provided a newly framed portal to the creek and its rich landscape beyond. They looked at the layout, location and site requirements needed to determine if the project was attainable and then created a process and budget that fit the owner’s expectations and goals. The solid wooden front provided privacy and gave a sneak peek of the characteristics you could expect to see, once inside the structure. 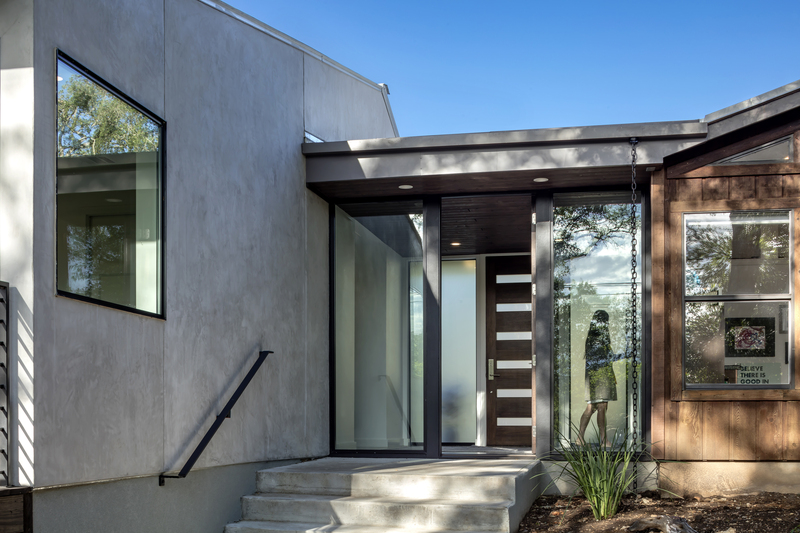 A glass entry connected the new space to the existing dwelling, and offered a clear view and direct access to the natural beauty of the surroundings. 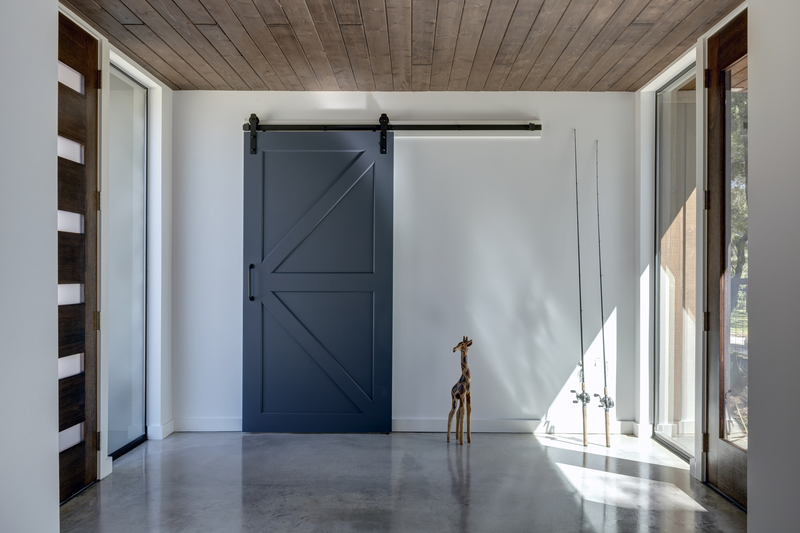 Once you enter, the sliding barn door provides access to the main house or the option to go directly to the back of the home. 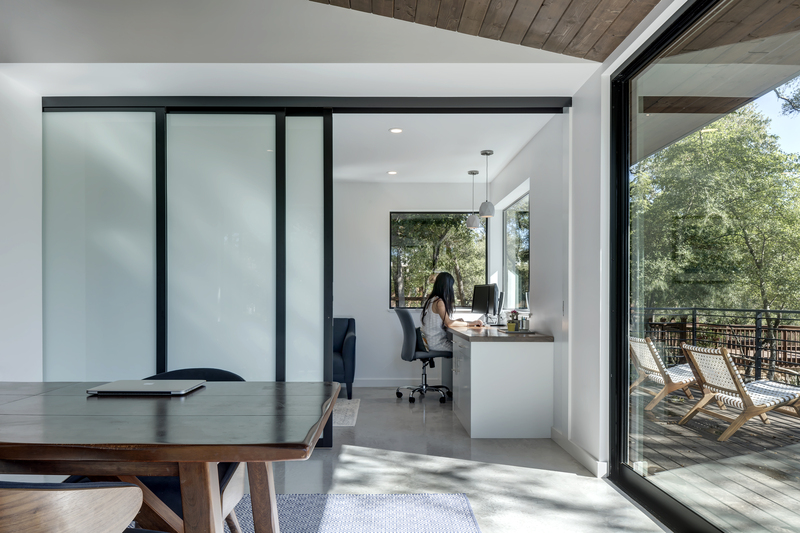 And unlike its solid front, the back side of the home office opens to the outdoors with large Aluminum Series windows and floor to ceiling aluminum glass sliding doors. 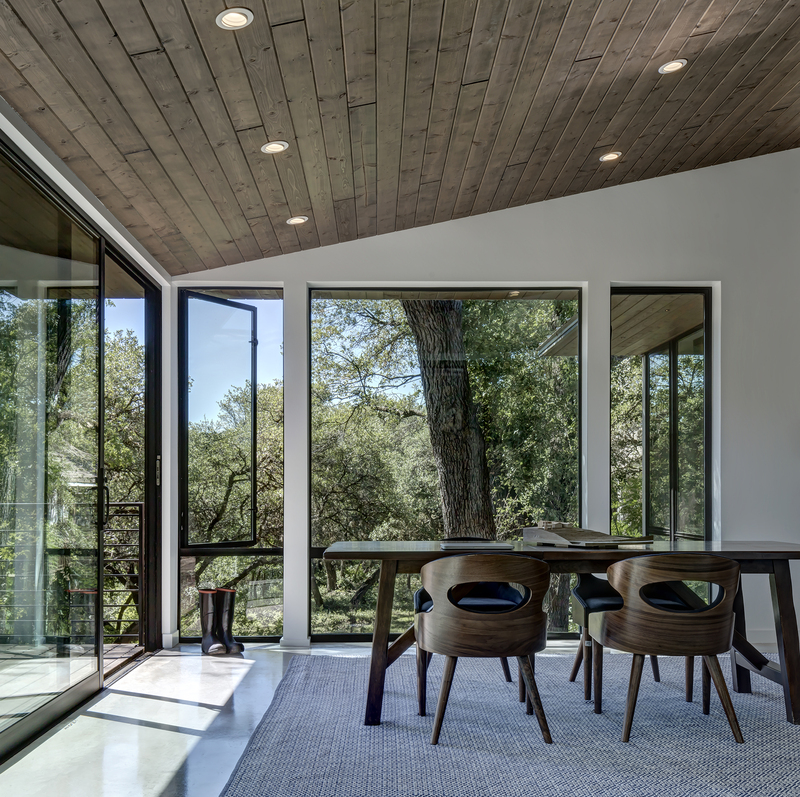 Wood ceilings extend out, further strengthening the indoor and outdoor connection. 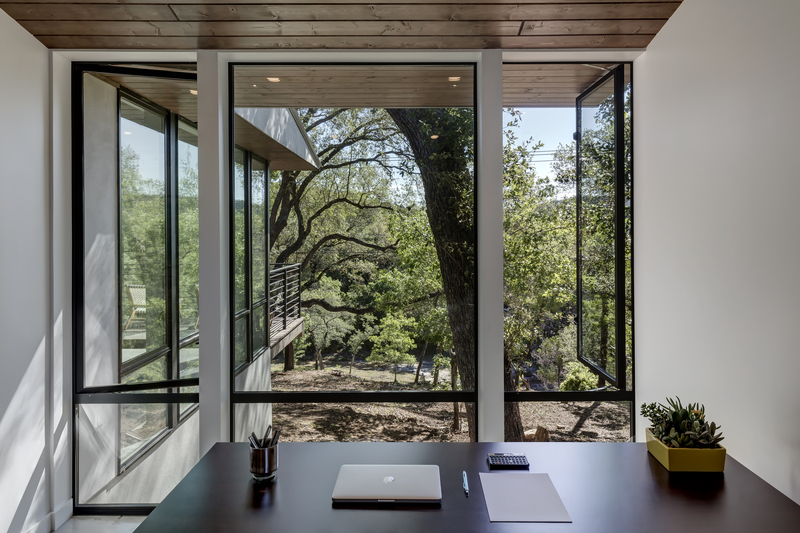 In addition to the two individual office spaces, an operable wall divides the main space when needed. 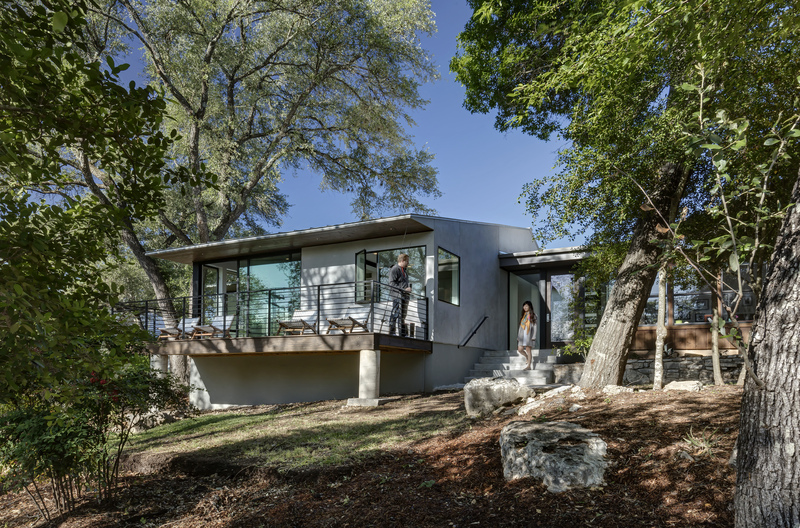 The back features a small patio tucked between tree canopies overlooking the creek. 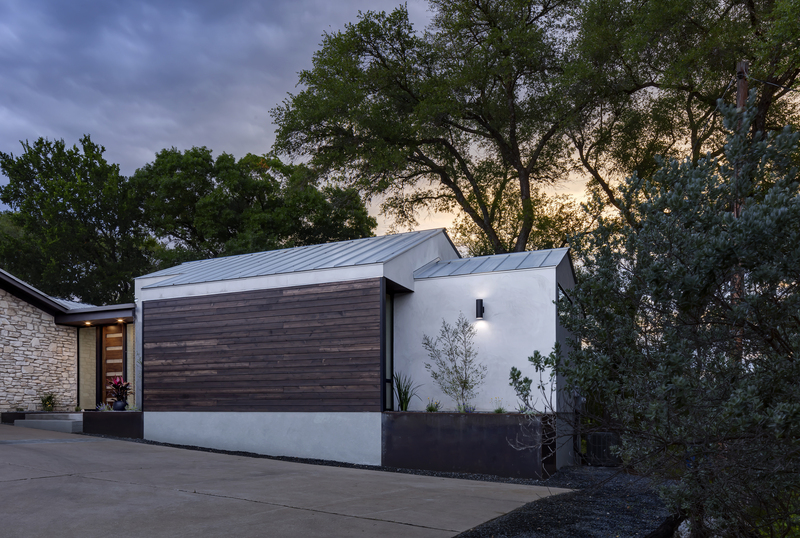 The roofline of the new addition was kept true to the existing house's mid-century modern tradition, yet with a new twist.